For a while now, and especially since our economy has taken a dive, the idea of purchasing only products that are “Made In America” has become increasingly popular. The thought is a nice enough one: If I buy things made in America, that money goes to Americans and will, should everyone act as I do, be spent on more American made things. In so doing, the purchaser is hoping to better the economy in the US by helping US business. And that is nice. Unfortunately, if we dedicate ourselves to only buying what is Made In America, we are failing to see the bigger picture. Assuming that the “Made In America” sticker is actually 100% valid, which I doubt in most cases, if everyone decided to buy items for only that reason, we may actually be harming our economy. It’s important to understand the consumers’ role in creating Demand, or what looks an awful lot like Demand, in our economy. Basically, every dollar that you have is like a vote, and all products are part of an election. Those products vary in features such as color, quality, where they are made, size, shape, etc. When we purchase a Booger-Green car (as many of you have lately–what is your deal? ), we are, in essence, voting for more Booger-Green cars to be created. With our dollars, we communicate to the world, especially to car manufacturers, that they will make more money and please more of the population if they create more Booger-Green cars. Furthermore, the price of those cars will go up because they are in higher demand, and if we keep buying them the car manufacturers will be exponentially excited about Booger-Green. The new color of money. Similarly, our vote-via-dollars demonstrates to manufacturers what their priorities ought to be. If we begin to purchase only things that are “Made In America” and don’t consider cost or quality, then manufacturers will have similar priorities to match our demand. See what happens? If a car or truck made in Japan is of higher quality and of similar or lower cost than one made in America, but we decide to Buy American, we have communicated to the manufacturers in America that their quality is more than fine. Thus, they will not have any motivation to improve quality or lower prices. In fact, demand has been created, and prices can go up on the lower quality vehicle. Meanwhile, guess what happens in the rest of the world. The price of the better Japanese vehicle may fall initially because of the decreased demand from the US. People in other countries, then, will compare the two cars objectively (because they don’t care who made it), and purchase the Japanese vehicle because it is of better quality. The ripple effect continues. 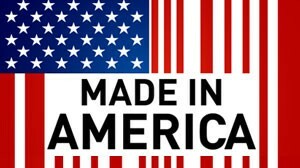 Now, not only have we limited “Made In America” cars from being sold globally, but we have attached two things to those cars: 1) a “Made In America” sticker, and 2) a poor reputation for American-made vehicles. The best way to help the U.S. economy and its businesses is to make awesome decisions with your money. Treat your dollars like an actual vote. If the Japanese car is of better quality, or even of comparable quality for lower cost, or better with gas mileage, or Booger-green; whatever your REAL preferences are in a product, communicate that through your purchases. Purchasing better quality tells companies that they should make better quality. American manufacturers will, then, be forced to find out how to make a BETTER product at a lower price if they want you to “vote” for them. Otherwise, they will go out of business. On the other hand, if they don’t go out of business they will be competitive on the GLOBAL market! SO- don’t just buy American for the sake of Buying American. If the product is superior, buy it. If it’s an American-made product, wonderful. Reinforce it’s manufacturer’s standards by showing demand for it through purchase. Apply all of this reasoning, and then bring in Government Subsidies. Subsidies exist ONLY to buy [subsidize] what smart people won’t “vote” for with their dollars. This creates the same effect as “buying American” without any say-so from the free market. Notice how much freedom is removed from this picture already. If “Company A” makes a good product whose price is worthy of investment, people buy it. That company moves forward. If “Company B” doesn’t make as good of a product or is not cost-competitive, people won’t buy it. “Company A” is fine. The government, however, may subsidize “Company B,” which is investing money stupidly (your money, by the way). That company, then, will continue to operate the way that it has operated in the past, and will, most likely, require more and more of government [your] money to exist. This teaches the industry that these companies belong to that success does not depend on actually performing well. Ripple effect again…same thing, much bigger scale. Government subsidies should simply be done away with. Allowing things to fail is one of the best, albeit painful, parts of free-market Capitalism. If a company fails, then the next company will do it better or more efficiently. This means better, less expensive products for the consumer. That trend creates MORE purchases for the consumer, which means more products need to be created. Guess what that means! MORE JOBS!!! REAL ONES!!! Same thing with banks. Want banks to stop acting stupidly? Allow them the risk of failure. I, for one, miss the Bank Run. Well…I miss it from the movies. If banks are not faithful with your money, they should not be successful. Why? BECAUSE MONEY IS THEIR JOB. Don’t do your job? Fail. Do it really well…succeed. Excellent. Also noteworthy is the fact that tariffs on cheaper or better quality imports have the same affect on us, the consumers, as subsidizing inferior goods made stateside.